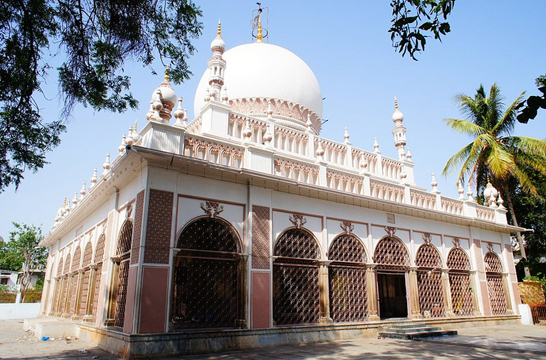 Hazrat Shah Hamaddan Mir Syed Ali Hamadani (r.a.) (1314-1384) was a Persian Sufi of the Kubrawi order, a poet and a prominent Shafi'i muslim scholar. He was born on Monday, 12th Rajab 714 AH (1314 A.C) in Hamadanand died in 786 AH/1384 in Kunar and was buried in Khatlan. He was very influential in spreading Islam in Kashmir and has had a major hand in shaping the culture of the Kashmir valley. He was also known as "Shah Hamadhan" ("King of Hamadhan", Iran) and as Amir-i Kabir ("the Great Commander"). He wrote several short works on spirituality and Sufism. He was immortalised by poets like Allama Iqbal. His name was Ali, and titles were Amir-e-Kabir, Ali Sa'ani, Shah-e-Hamadan and Mir. Besides them, the Chroniclers had mentioned several other titles: Qutub-e-Zaman, Sheikh-e-Salikan-e-Jehan, Qutub-Ul-Aktab, Moih-Ul-Ambiya-o-Ul-Mursaleen, Afzal-Ul-Muhaq-e-qeen-o-Akmal-Ul-Mudaq-e-qeen, Al-Sheiyookh-Ul-Kamil, Akmal-Ul-Muhaqqiq-Ul-Hamadani etc. 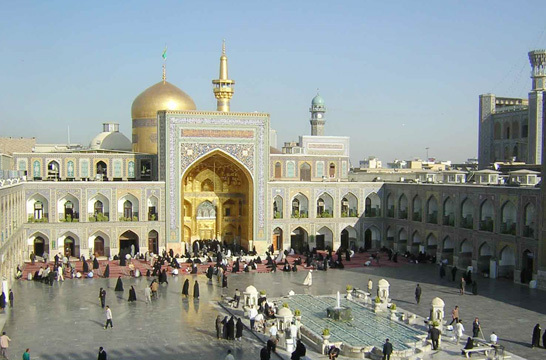 He traced his patrimony through his father, Syed Shahab Uddin, to Imam Zain-ul-Abedein and finally to Hazrat Ali. 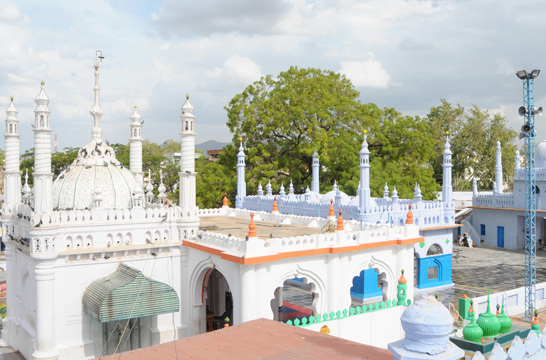 His mother, Syeda Fatimah, with seventeen links, reached the Prophet.Syed Hamdani came from an educated family. He was intelligent and quick of mind, and read the holy Qu'Oran, under the care of his maternal uncle, Hazrat Ala-Uddin and from him too he took his lessons on subjects outer and intrinsic for a period of thirteen years. He received the role of the spiritual heir from Sheikh Abul Miamin Najam Uddin Muhammad-bin-Mohammad Azani. Shah Hamadan was a Multi-dimensional personality. He was a social reformer besides being a preacher. Among the seven hundred followers, who accompanied him to Kashmir, were men of arts and crafts who flourished here. They popularized Shawl-making, cloth-weaving, pottery and calligraphy. Allama Iqbal admits that because of Shah Hamadan the wonderful arts and crafts turned Kashmir into a mini Iran and brought about a revolution in the thinking process of the people.